We are very proud to announce that AceNetworks became Cablenet Professional Business Partner at the Cablenet Partners Annual Event, held at 18th March 2015. 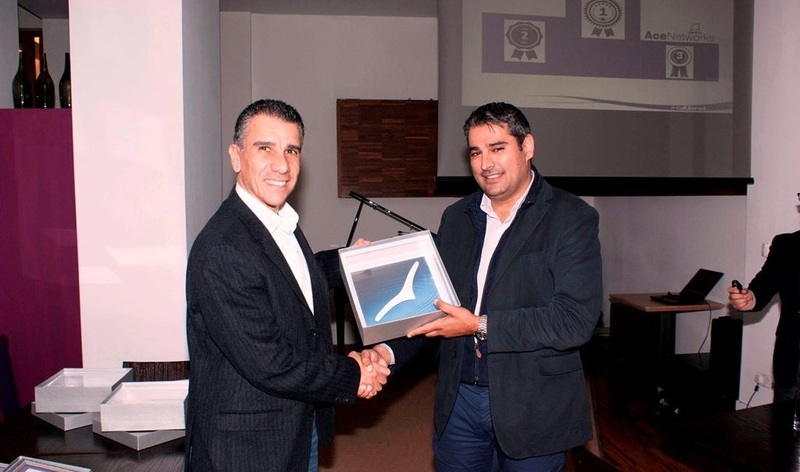 The award was presented by Mr. Nicolas Shiacolas, Cablenet CEO. Hosted PBX is a service that offers corporate clients the functionality of a fixed telephony system without the need for purchasing a physical telephony system. The only requirement in using the service is the IP telephony handsets or soft-phones and an Internet connection with fixed IP address that need to be available at the Customer. For any details and clarifications on Cablenet services, please contact us at +357 22516181 or info@acenetworks.eu.